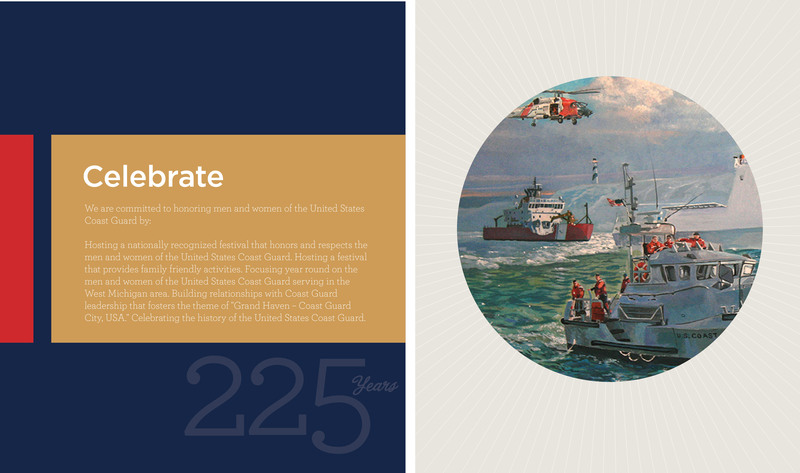 In 2015, the United States Coast Guard celebrated it’s 225th anniversary. In celebration of this huge milestone, the Grand Haven Coast Guard Festival in Grand Haven, Michigan honored their rich history and commitment to recognizing these brave men and women. Candour collaborated with their team to create an anniversary sub-brand for the special event and worked with a local artist to implement their commissioned celebratory painting into all branding, marketing and advertising efforts.